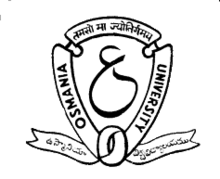 The Osmania University will hold convocation in October and accordingly the varsity authorities on Thursday net Governor ESL Narasimhan who is also Chancellor of the varsity seeking his appointment. The varsity has proposed to conduct convocation either on October 4, 5 or 6. "The Governor has asked us to send a proposal and the varsity will send the same in couple of days. Later on, a date will be finalized," a senior official said.